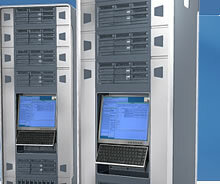 Each of Access-Providers's web hosting plans carries a 30-day money back guarantee. If you are not completely satisfied with our services within the first 30 days of your contract, you will be given a full refund of the monthly service fee's paid excluding any setup fees, domain registration or transfer fees, charges for excess bandwidth or other charges related to setup or utilization of the service. Setup fees are refundable for the following reasons only: (1) the account order is canceled prior to activation; or (2) the domain name was not available at InterNIC. Requests for cancellation of services and refund must be submitted in writing via either US Postal Service, fax or E-mail from the address you signed up with, (phone requests will not constitute acceptance of any cancellation) and it must be received by us prior to the close of business on or before the 30th day of service and your account must be paid in full. No refunds are available after the 30th day. In the event Access-Providers elects to terminate Customer without cause, Customer shall receive a full refund of any balance. However, if Customer terminates this agreement without cause, there shall be NO REFUND of the Setup Fee or any remaining balance. This policy does not apply to any additional services not specifically mentioned herein. All server and hosting contracts are automatically renewed for another term unless either party has given a written notice of cancellation at least two weeks in advance of the renewal/anniversary date. If no correct notice of cancellation is given, all contracts will automatically be renewed for another term under the same conditions. For Domain Pointers, no refund is given on 3-month contracts or less. (We say "or less" because pointers are prorated to bring concurrent with regular account billing. For example, if a customer has 2 months left on Plan 1, we charge for 2 months on pointer.) For contracts greater than 3 months, a refund equal to one-half of the contract amount will be given if Favorite Host - HostYourSite.com is notified prior to the first day of the second half of the contract term. No refunds will be given once the second half of the contract term has begun. Our 30-day money back guarantee does NOT apply to Domain Pointers. TIP: If you plan to open a regular web hosting account within 3 months of your domain pointer request date, it may be more cost-effective to start with a regular account.